For many dog-owners, their dog is much more than just a dog – it’s part of the family. So, any car you choose needs to be every bit as suitable for your pooch as it is for your children. According to Nathalie Ingham, Senior Canine Behaviour Training Advisor at the Battersea Dogs & Cats Home, 'There are a few things every dog owner will need to consider when buying a new car. Does it have enough boot space for your dog to sit, lie down or turn, for example; and, can you lift your dog in and out comfortably? 'Many dogs suffer from travel sickness, so good suspension is just as important for them as it is for us, while easy-to-clean seats and interiors are a must. 'Ensuring your pet is safe on car journeys is also crucial. 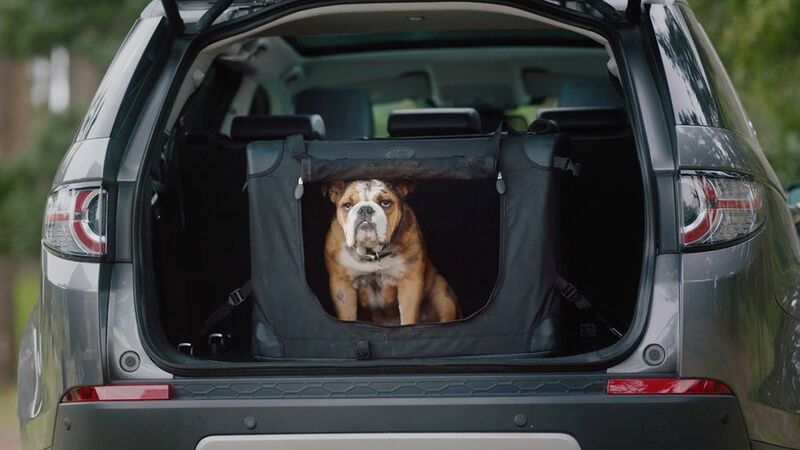 Dog guards and crates will keep your dog safely away from the driver or from raiding your picnics while you’re filling up with fuel; harnesses will safely contain your dog on the back seat: and, it's worth considering using child locks if your car has them. On top of all that, it’s still true that any dog-friendly car needs to suit you and the rest of your family as well, so we’ve put together a list of the cars we think will suit dogs and dog-lovers alike. 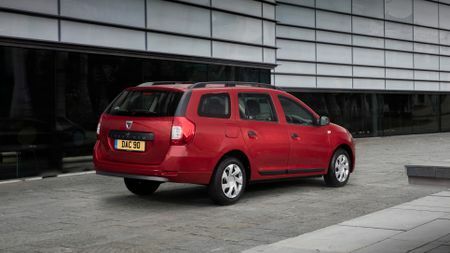 Not everyone has bags of disposable cash to buy a car simply to suit their pooch, but the great thing about the Dacia Logan MCV is that you don’t need much money. 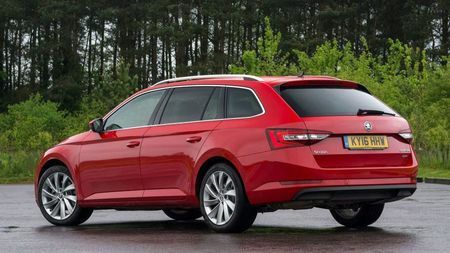 Less than seven grand will buy you a brand new Logan which is, granted, rather short on quality and creature comforts, but has a massive boot that’ll keep even the greatest of Great Danes happy. And, because it’s so cheap, it doesn’t matter too much if your mutt’s claws make a mess of the plastics. Mid-size SUVs are extremely popular with dog owners. Why? Because the jacked-up ride height that makes it easy to traipse in and out of uneven rural car parks for walks without scraping your bumpers. 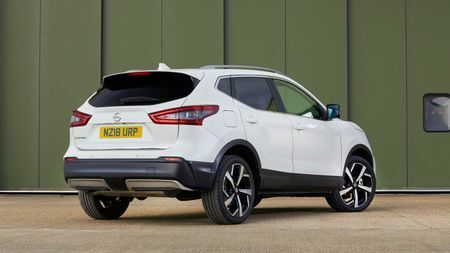 And for our money, the Nissan Qashqai is up there with best mid-size SUVs you can buy. 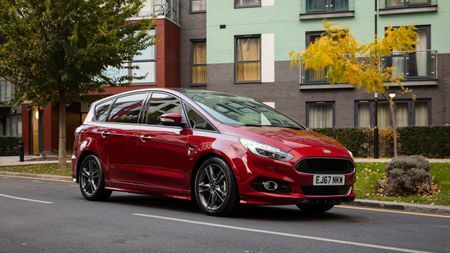 It’s comfortable and easy to drive, and has a classy interior with plenty of space. In this car, any pooch will feel totally pampered. Some say size isn’t everything, but try telling that to your dog when it’s crammed into a hatchback. 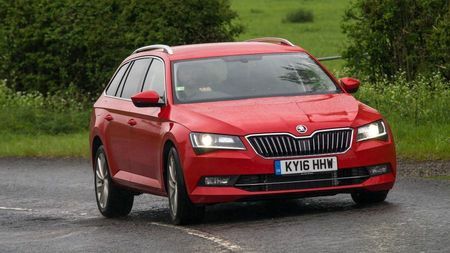 The Skoda Superb Estate features more space than Captain Kirk’s A to Z, especially in the huge, high-roofed boot, so most tall dogs will be able to stand up, and those that can’t will be able to lie down and stretch out. No mistake, this is the way your Rhodesian ridgeback will want to roll. 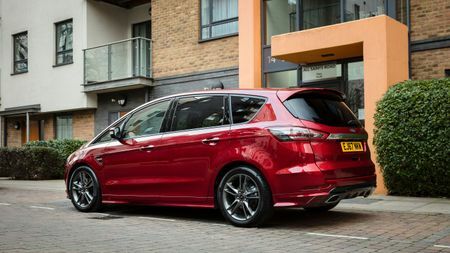 The Ford S-Max handles better than any seven-seat MPV has any right to, so if you’re feeling a little devil-may-care (and your hound doesn’t mind being thrown around a bit), the big Ford is the car for you. 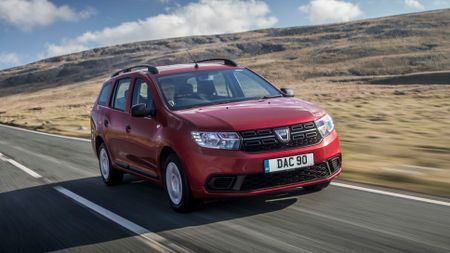 You won’t be able to carry anything much bigger than a Chihuahua in the boot with all seven seats in place, but in five-seat mode, an Irish wolfhound or two will be more than happy. Fold down all the chairs, and the loadbay has enough space to double as an exercise yard for a whole litter of Labradors. 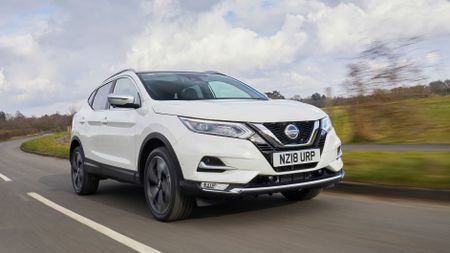 It’s no surprise that a car as big and as boxy as the Land Rover Discovery will have enough space for a full complement of dalmatians, but the real beauty lies in where this car will let you take them. 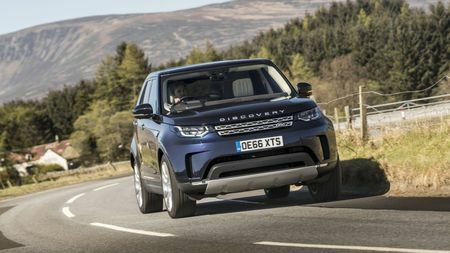 No other conventional car has the Disco’s incredible level of off-roading ability, so if you fancy taking your pack for a walk in the wilderness, the Disco will get you further into the countryside than anything else. 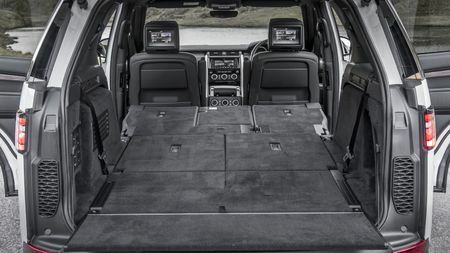 Land Rover even offers a Pet Pack on the options list, which includes a ramp to help your dog get in and out.